It was a smoke of many rains. Some times it fell from the ashen sky like pitch forks and hammer handles. Other times like puppies and anvils. And if it weren’t doing that, it generally sailed side-ways on a tempest’s fist, for to kiss you kindly on the face. Oh yes, it was a sporty day on the BBQ front. The storms drummed with great frequency over the land, washing the infinite contours there, and rushing the sodden gullies. For some this equates to borrowing indoors to stare glumly out the window, our plans awash, whilst the watery, wind-driven pellets tamp over the glassy pane. But I for one have always fancied a good rain. There is just something contenting about it. Something eternally right in its rhythmic splatters. About the way it sounds on the roof of a good home, whilst dozing under your favorite grandma blanket. Or the way it dapples over the surface of a pond, water-on-water. It’s beautiful. And like-wise, what a privilege to emerge from our cozy dens after the storms have tapered. To pad about a world renewed, and wet. To boyishly stroll a land so freshly cleansed. When the rain lightened up a tad, I did just that, sidling out the patio door to inspect the day, and lo, to check up on my beloved Weber Smokey Mountain. There it stood as it should, stalwart, with faint-blue tendrils of hickory smoke puffing from its top vent. I had to smile. Oh how I adore the aromas of damp earth and gently rising wood smoke. There’s nothing like it, patron to the pit. It stirs me. An ambiance of quietude and well-being to aptly lift the wrinkles of a harried soul. The very occasional waft of beef ribs coming to perfection, doesn’t hurt none either. Man! This is good eating today! It truly is. So grab yourself a lovely beverage and pull up your poncho, and we’ll tell you how it went and came to be. Taking a peak under the bonnet for you is a pit master no-no, but I don’t care and I’ll tell you why. They say, and this is old pit jockey lore, but every time you raise the lid on your smoker, things cool off in there tremendously. Your thermal inertia, as it were, takes a firm whack to the private parts. End result is you add 20 minutes to your cook time. To which we proudly bellow – bravo! Those long-standing in the readership know full well how we feel about taking our time around here. About the pleasure of the wait. Hark, we are the Lieutenants of Leisure! The Lords of Loitermanship! This is what we do. This is what we love. And if for any reason we can extend the joy another 20 minutes, well, let it be said, we will! So take a gander folks, as this portly rack of hickory smoked beef ribs, sporting a mahogany bark upon its fatty flanks. The meat has pulled back some now, about three hours in, and it’s time to transfer them to the foil. And there they’ll tarry in a splash of BBQ sauce for another hour or maybe even two. This, of course, at the discretion of the pit master’s instincts. We’re not so much about recipes around here. No, you can find plenty of those elsewhere. There are many fantastic sites out there that do a better job of it anyways. Nay, we’re more about ideas and having fun. About crafting some quality time in a hurried day. Once you get the basics of spice rubs down, they’re generally the same anyways. So for our seasoning today, we just tossed a few odds and ends together from the old spice rack. Things like, but not limited to: garlic powder, onion powder, salt, chili powder, and cayenne pepper. We opted to steer clear of sugars, as beef seems to do better with out them. 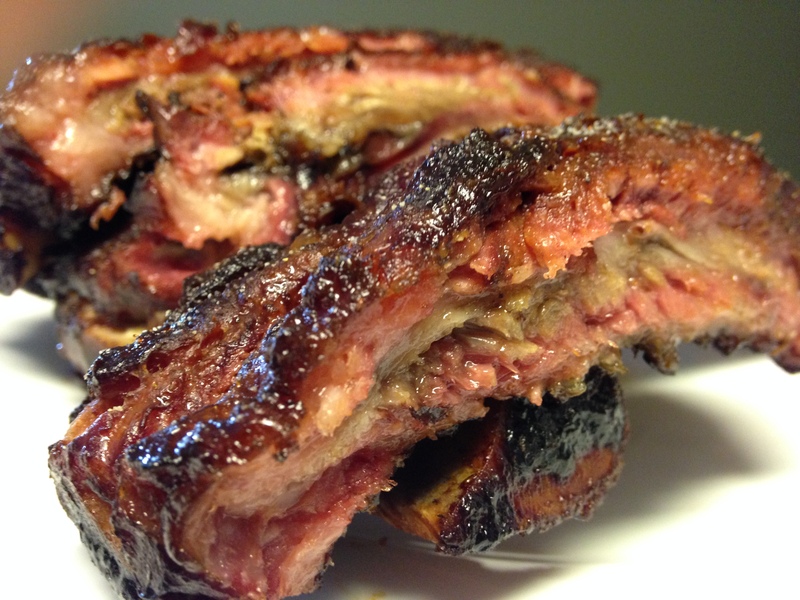 If these were pork ribs, however, you might want to add a little sweet to the flavor list. But that is the inherent joy of cooking, and spice rubs in general, and that is the freedom to experiment. To come up with brain thrusts, try them out, and see what happens. 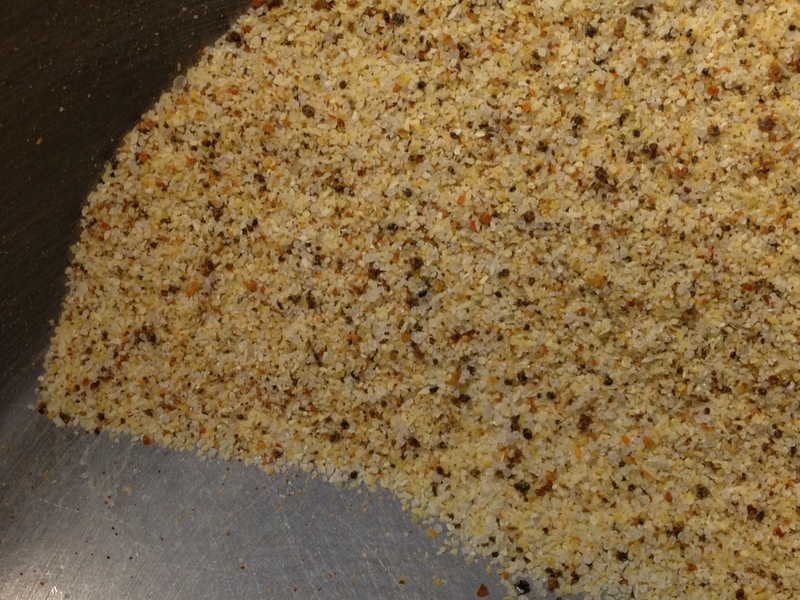 This beef rub turned out pretty tasty, by and far. Some garlic goodness in the front, with a little heat in the backdrop to keep things interesting. 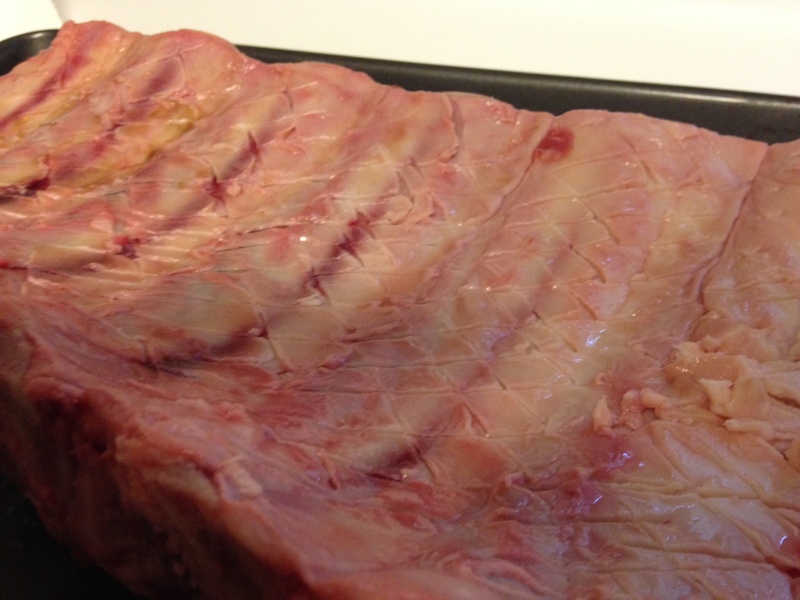 About the membrane on beef ribs. Reminiscent of a tick on a hound dog. I don’t know about you guys, but I find them to be a son-of-a-gun to remove. I’m talking about the membranes on beef ribs, people, not ticks on your hound dog. Unlike pork ribs, of which the membranes are generally an agreeable entity, the beef rib is a different customer. And whoa be it to the pit jockey engaged in a tangle with a stubborn beef rib membrane. Usually we tell you to peel that thing off, but in this case, if it’s as ornery as your uncle’s senile mule, well, it ain’t worth losing your mojo over. So we employed the age-old pit keeper’s trick of scoring a cross-hatch all over the membrane. When it cooks, it usually breaks up reasonably well. Some times beef membranes come off easy, but this one had, shall we say, undeniable resolve. So we let it win. Where not here to “rough it” people. We get it rough enough away from the pit. So about three hours into it, like I said, we wrapped the ribs in foil. Before you wrap, you’re looking for some meat pull back, and the general color pleasing to your eye, what ever that might be. Three hours , at 250 degrees, usually gets you there. We wrapped them good with a shot of BBQ sauce for a little moisture and added flavor, and then placed the rack tenderly back in the smoker for another hour or so. Long about this time, the rains moved in again, tho it never really stopped I guess. It was one of those forever, soggy days, patron to the pit. And I loved it. Not one to cower from our appointed patio time just because of a little inclement weather, we patrons of the pit instead find a way. So I rigged up a little blue tarp over the patio, pulled my chair under it, and simply sat there, and listened to the rain. Content not to do anything, or go anywhere. Oh how I do fancy a rainy day. The semi-enforced respite of it all. Listening to a million and one falling drops of rain gently pattering like Beethoven over a well-strung tarpaulin, glory be, I had found my rainy day paradise. 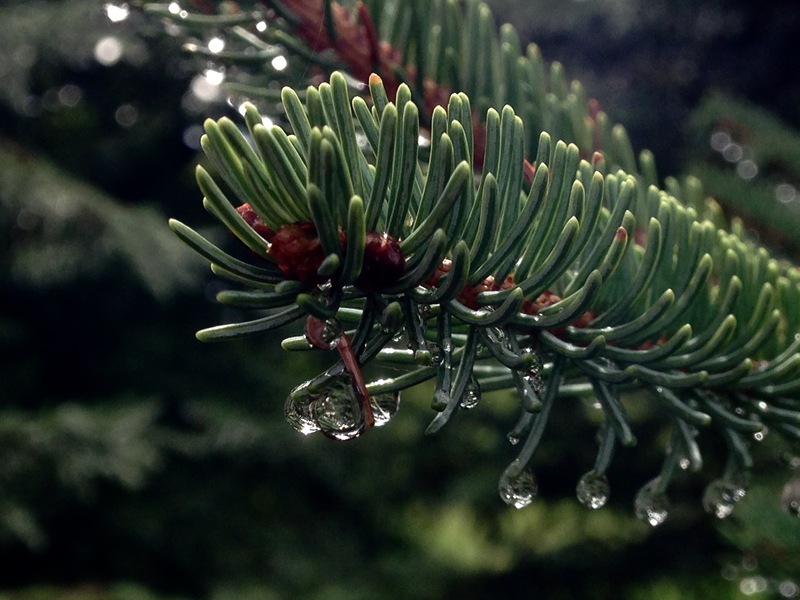 And as the wood smoke curled into a gray, Minnesota sky, and a damp breeze mingled through the spruce unto which tender rain drops clung, I knew as surely as I had known anything that day, that I was precisely where I wished to be, doing exactly that which was well with my soul. I tarried beneath the old tarp for a while, soothed by the rain, and the slow-curling tendrils of hickory smoke. 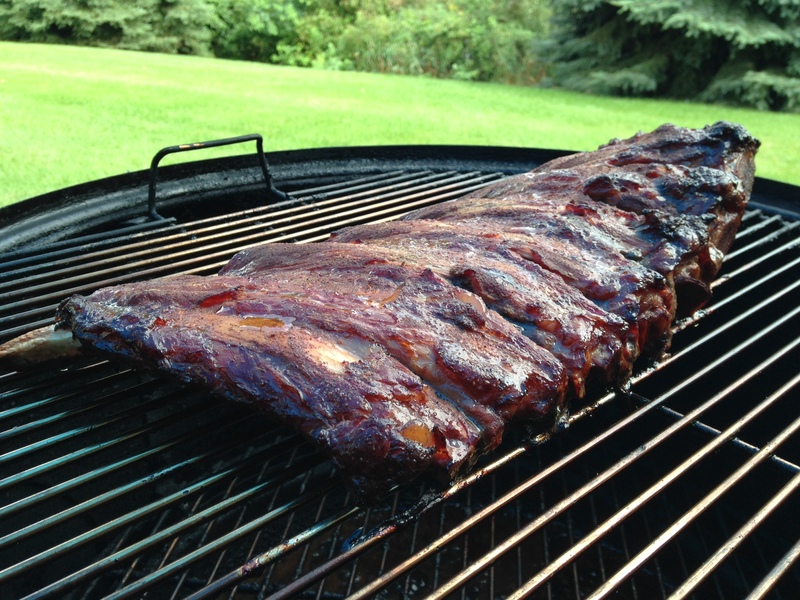 The ribs, pampered in foil, would come to a tender, and most succulent end game after around 90 minutes or so. Of course this can vary dependent on your cut. So from time to time, check in on them, and when they are tender enough to your liking, nod to the heavens, cast your worldly inhibitions aside, and dive henceforth and face-first into your smokey spoils. And care not what your people may think. You’ve earned these ribs, today. You’ve held their hand through a long and dampened campaign. You’ve sat in the rain, pit keepers, and you’ve reveled there. Amen. I don’t care what you say, this is delicious! Four and one-half hours, low & slow beef ribs. Yum people! Kissed in hickory, nurtured to succulence, and every minute of it, patron to the pit. This entry was posted on August 19, 2015 by Patrons of the Pit. 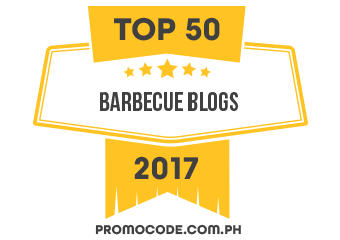 It was filed under Uncategorized and was tagged with bbq, beef ribs, cooking, food, foodie, grilling, poetry, rainy day, writing. Marcus, you are a true pit keeper! And I trust you will find a way in the rain to tend to your appointed BBQ! You must! Your photos are excellent. I can almost smell the grill from here. My taste buds are ready. Thanks Sarah! Appreciate that. Yeah, a couple of them turned out pretty good. Great how you describe the feeling! I love to cook outsider in autumn or winter too! It adds some cozyness to the art of Bbq 🙂 beef ribs = high on my bucketlist ! Thanks! Man, I love beef ribs. Especially the big ones that look as if they’re off a dinosaur or something. Delicious! And it is also good to hear you are not one to back down from cool weather grilling. Proud of you mate! 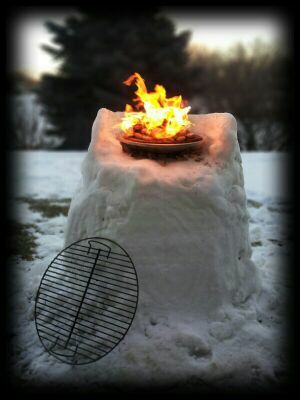 It really does engender a cozy feeling to the art of BBQ. Most people don’t get that. You need to leave more comments here. I like you! You got me with Lieutenants of Leisure. I have a big treat in store. A butcher friend of mine has given me a long term loan of a cabinet smoker. Hot and cold smoking beckons. I am very excited. The wife is wondering about it taking up space in the shed. She is right to wonder, it’s not small. Well you lucky bloke you! That sounds fun. 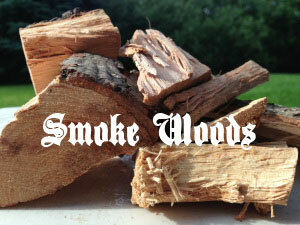 I trust you will take a few photos of it in action for your blog, and share thus with the world your smokey results. Sounds like you can fit an entire hog in that thing. Let’s see it Conor! As soon as I get to work it out – Digital control panel! 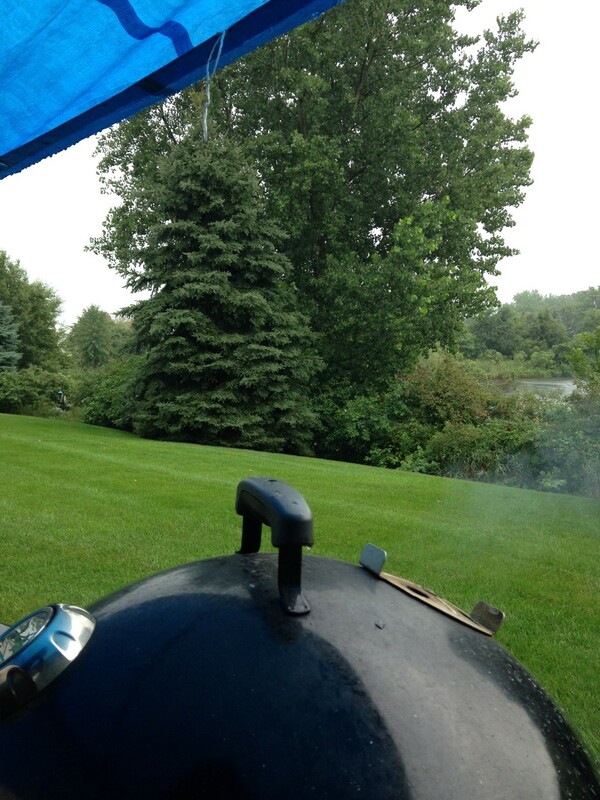 A true griller never lets weather interfere with his meat! Finally getting some much needed rain today. We’ve been terribly dry the last few weeks. David is just dying to use his new smoker again. I guess he will get a chance this weekend and he will have nice weather for it! New smoker? New smoker you say!! Have I missed some big news from the mountain…. Congrats to him! Yes a true griller always finds a way. Great photo! That’s pure art! I love it. Nice choice of smoker too. That’s the one I use here at the pit. Money well spent. He’ll love it! But, we still love the low and slow joys of good smoked meat! Thanks for the excellent photos and endearing tale of a day well spent. Keep up the good work PotP! I thought it would rain more in Ecuador. Shows what I know. You make it sound kind of dry, but lovely at the same time. Well you always make it sound lovely. I know your propensity for rubbing it in that way! I don’t’ mind. Especially when it’s summer in Minnesota. It’s 71 and low humidity here today. That’s perfect in my book. Carry on likewise with your pit craft. Looking forward to seeing your next smoke write-up. It does rain more in the mountains and in land, but here on the coast it is dryer. We get plenty of water from the rivers and springs without having to deal with anything that would ruin my tan. Life is good! As usual, you have inspired me. I need to have a conversation with my butcher about beef ribs. I’ve been disappointed with his cuts before, but I am re-energized to try again. I am a pork rib devotee, but your description of the cow’s gift makes me want to give it another go. Pork ribs will probably always be king at this pit too, but man if you can find yourself a proper rack of beef ribs, ones that look like they once belonged to a dinosaur, well there are worse things in life. I fancy them quite a bit. At any rate, thanks for chiming in as usual, Todd. Good luck with your butcher ! Ribs are literally the best thing ever :p These photos are making my mouth water! PotP, I prefer a well cooked beef rib over a pork rib any day. Nicely done. I just may have to go pick up a rack for next weekend! Thanks Bill. I’m learning to see the joy of beef ribs lately here myself. Man it’s good eating! The ribs look so good and I really appreciated the detail of the water droplets on the pine 🙂 Rain is what we do best here on Dartmoor. I wish I could add that we are also good at cooking with fire in the big outdoors…….perhaps I have just not met the right man! Ah yes, lovely sentiments from the water-soaked Dartmoor proper. I suppose you just get used to it after a while. I mean you either accept the rain, or you fight it.. Our western states sure could use some rain. There are wild fires blazing all over the place. Smoke in the air wafting for miles. Severe drought grips the land. Yeah, I’ll take your Dartmoor weather any day over that. Yes, I agree. Areas of drought where the land is devastated and nothing will grow is a terrifying reality. I think I am used to the rain, but it does make this particular village feel, periodically, like somewhere where we villagers do ‘our time’, after all, Dartmoor Prison is not far away! We all speak of moving to the other side of the moor which is not so wet, but, here we all are, 30 + years down the line. My roots have grown deeply into the peaty ground!